Aadhaar cards are now valid travel documents for Indians under 15 and over 65 travelling to Nepal and Bhutan, according to a home ministry communique. Indians other than those in the two age brackets will not be able to use Aadhaar to travel to the two neighbouring countries, for which no visas are needed, clarified the communique issued recently. Earlier, persons over 65 and under 15 could show their PAN card, driving licence, Central Government Health Service card or ration card, but not the Aadhaar, to prove their identity and visit the two countries. The Aadhaar card has now been added to the list. 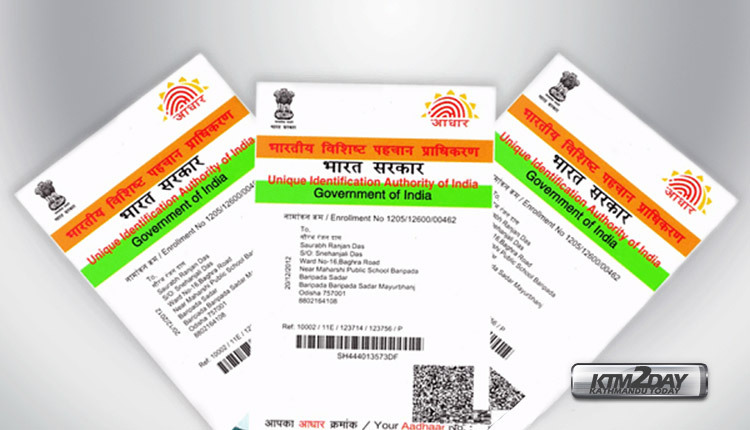 Aadhaar is a 12-digit unique identification number issued by the Unique Identification Authority of India.